Mid 20th century. Silver, gr 17,5 (0.61 oz) – cm. 8,8 x 4,5 (3.46” x 1.77”). Piece decorated on both sides. 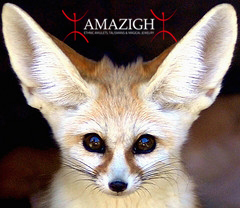 The Tuareg live in one of the most inhospitable areas of the planet: the central part of the Sahara Desert. Their whole existence, difficult and precarious, is dominated by an overriding concern to protect and defend themselves from hostile supernatural forces that inhabit the surrounding environment – the ” Jinn ” (evil spirits, from the terrible Ghul to the Ifrit, no less cruel in tending traps to travelers) – and gain the protection of beneficial genies. 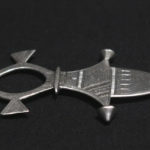 The same typical turban – the litham – that completely covers the face of the Tuareg except the eyes, has the primary function of protecting the “gates of the soul” (mouth and nostrils) from the Jinn. 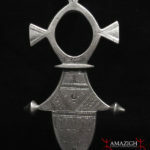 But the main instruments of protection are the amulets and talismans. 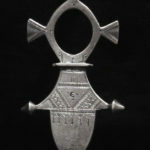 Every Tuareg, man or woman, old or young child , has an amulet or a talisman: leather ( the gri-gri ) or silver (the khomissar , the tcherot , the herz), often contain magic formulas, powders of animal and / or vegetable or verses from the Koran. 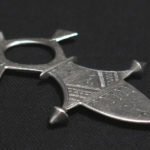 Very often one stands out among these talismans: the upper part is a ring and the lower part is a lozenge-shaped with small tips: this is the Tuareg Cross.